I decided to track in my blog not only the needlework but also my reading. In December 2010 before the long holiday break I accidentally visited Oprah Winfrey's web site and found out that she picked two Dickens novels Tale of Two Cities and Great Expectations for winter holidays reading. I didn't read any of these books so I was happy to join. I immediately ran to the book store and bought both books. 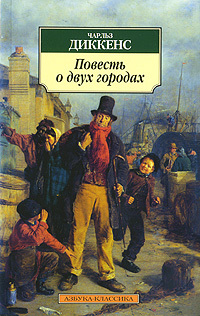 I found A Tale of Two Cities in Russian and Great Expectations in English. Oprah couldn't make the better choice of books for Christmas holidays. Sitting on the sofa near the Christmas tree wrapped in soft plaid with a cup of cocoa and reading Dickens, that fits my picture of holidays perfectly. I finished the first book A Tale of Two Cities in January and I really liked it. It's a beautiful story of love, frienship, devotion and self-sacrifice. 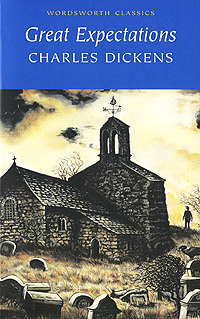 Dickens not only gives us the personal life stories of characters but also describes the revolution and revolutionaries. Being myself from the country that lived through the revolution less than a century ago and having heard the stories about that time at first hand from people whose life was influenced by revolution, including my grandmother it was extremely interesting for me to get Dickens view on the subject. Finally it only proved my opinion that revolution is always ugly. Thank you for sharing! I love reading him too.